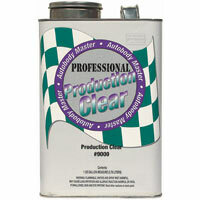 A medium solid clearcoat with excellent performance in air and force dry applications. Faster and easier to apply than high solids clearcoats. 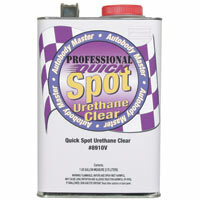 Your choice of fast, medium or slow activators for spot, panel or overall refinishing. Quick Spot Urethane Clear is designed for fast curing spot and panel repairs, especially in cooler temperature environments. Quick Spot is very fast, buffs quickly and easily for quick delivery and great productivity. 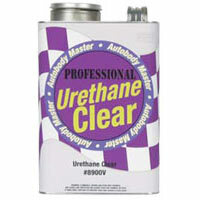 Urethane Clear is an extremely versatile clear that can be used as a spot, panel, multi-panel, or overall clear. The resin used in this Urethane Clear offers extreme durability, retention of initial gloss, and DOI of the finish. Hi Solids Clear is a 4.2 VOC Urethane Clear that exhibits superior flow, excellent gloss retention and depth. Its high solid content offers exceptional coverage & depth with only 2 coats.